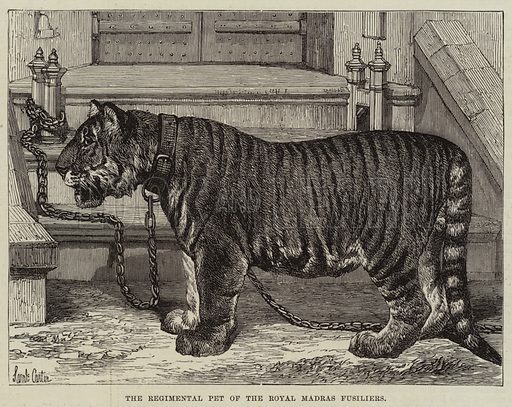 The Regimental Pet of the Royal Madras Fusiliers. Illustration for The Illustrated London News, 30 April 1870. Available worldwide for immediate download up to 4,485 x 3,568 pixels.